UPPER EAST SIDE — Three days after Gov. 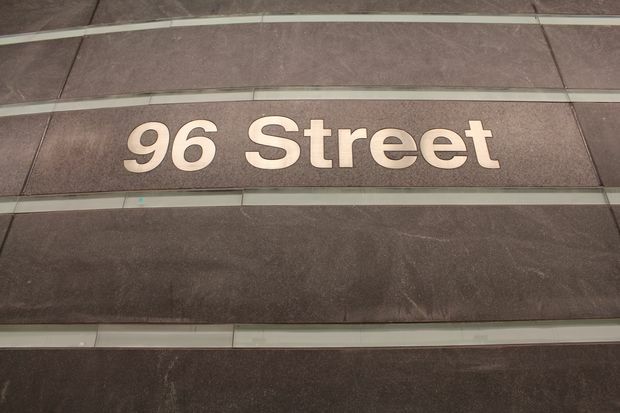 Andrew Cuomo and MTA officials announced a Jan. 1 opening of the Second Avenue Subway, the community came out for the first official tour of the 96th Street Station on Thursday. The new station, which has a two-tiered mezzanine to reduce crowding, no columns, a high ceiling, and a large art installation by Sarah Sze, spans three city blocks at 1,591 feet long and 57 feet wide. Unlike a lot of subway stations across the city, It has climate control, accessibility for the disabled, digital signage, Wi-Fi and phone service. The tour and open house was the first of four open houses the MTA will hold for the community, followed by one on Thursday, Dec. 22, from 2:30 to 4:30 p.m. and Friday, Dec. 23, from 8 to 10 a.m. and from 5 p.m. to 7 p.m. MTA staffers will be on hand to answer questions, give out maps, and free cookies and commemorative items marking the historic opening. Cuomo, Rep. Carolyn Maloney, and MTA Chairman Tom Prendergast all praised the station's airy feel, its artwork, and state-of-the-art technology, but most of all, they touted the extraordinary task of finishing it on time. "We wanted to make a statement by meeting the deadline," Cuomo said. "For too long we've been making excuses. That's not New York at its best. It's not what made New York New York. It's going to be better than any system built before, even though there were delays, we're going to get it done on time." Contract worker Sean Bishop said that he worked on the subway for five years and that seeing it complete is "fulfilling." "[The residents] hated us for quite some time. We heard it every single morning and every single day," he said. "I can almost say after today or after the first of January 2017, they'll understand it was all worth it." Other MTA workers said they loved how quiet the station was compared to the others, and how it will stop people from having to hustle to the Lexington Avenue line to go anywhere. Barry Schneider, a Community Board 8 member who has served as a liaison to the MTA on the Second Avenue Subway, has been seeing the project through for 21 years and was beyond happy to be actually standing in one of the stations on Thursday. "It's breathtaking," he said. "In 2007, I walked down seven flights of wooden stairs to get to the tunnel and there was all the filth, the dirt, the muck and dislocation, and here we are today in a world-class, otherworldly train station. It should have a special name. It's better than a train station." Jim Clynes, the Community Board 8 chairman, praised Maloney for pushing for the funding to get the project completed after nearly 100 years. "Congresswoman Carolyn Maloney is the mother of the 2nd Ave subway line," he said. "Without her it would have never been born. She is the one that makes it full steam ahead." Just last week it was unclear when the station would open — Prendergast respoded to questions about an exact opening date saying he was "cautiously optimistic" that the MTA would meet a Dec. 31 deadline but that they wouldn't open the line unless all four stations — at 96th, 86th and 72nd streets and at Lexington Avenue/63rd Street — are ready. Then on Monday, he and Cuomo announced it'd open on Jan. 1. "If we have to push the train down the tracks, that train is going to run on January 1," Cuomo said on Thursday. "We don't make excuses, we make the impossible happen. It's a reminder that there is nothing we can't do in this state when we put our minds to it, and we're not going to take 'no' for an answer. We're going to show you how dreams become a reality."